The utility lever bathroom taps offer fantastic quality and value for money. The simple design no fuss taps include ceramic discs within and lever handles offering an easy to use control. These taps are sold as a pair and are for basins with two tap holes. They have clear hot and cold indicators helping to prevent accidental scalding. 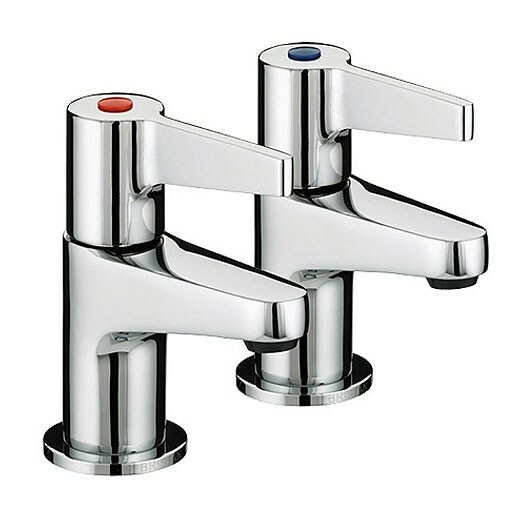 The design utility lever basin taps are only available in chrome plated finish as shown. As I actually spoke to someone, I would have appreciated being told that a courier service (as opposed to Royal Mail) would be used for the delivery, and that a box four times as large as really necessary would be involved.